TNPSC Group II Recruitment 2018 – Apply Online for Section Officer, Supervisor, Revenue Assistant Posts: Tamil Nadu Public Service Commission (TNPSC Group II) has advertised a notification for the recruitment of 1199 posts of Section Officer, Supervisor, Revenue Assistant vacancies. Eligible candidates can apply online from 10-08-2018 to 09-09-2018. 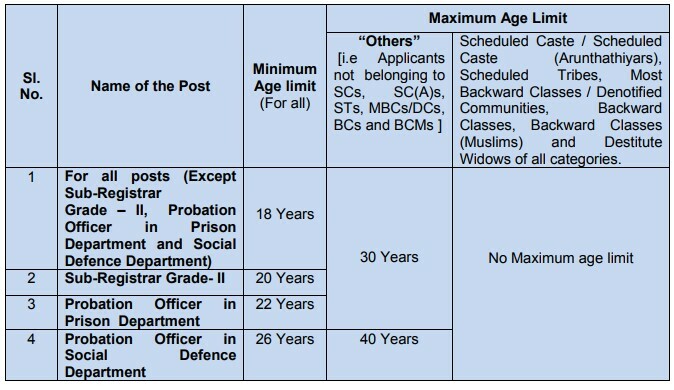 Other details like age limit, educational qualification, selection process & how to apply for TNPSC Group II Jobs are given below. Selected candidates will get Rs. 37,200 – 1,17,600/- (Post 1), Rs. 36,900 – 1,16,600/- (Post 2-7), Rs. 36,400 – 1,15,700/- (Post 8-13), Rs. 35,600 – 1,12,800/- (Post 14-18), Rs. 35,400 – 1,12,400/- (Post 19,20), Rs. 19,500 – 62,000/- (Post 21,22), Rs. 20,600 – 65,500/- (Post 23) by the Recruiting Organization.